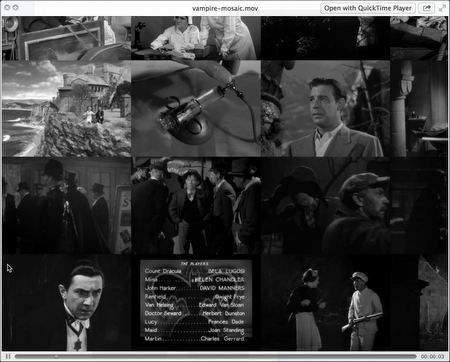 Scars of Dracula Online photo mosaic. Interactive search cells by movie names. 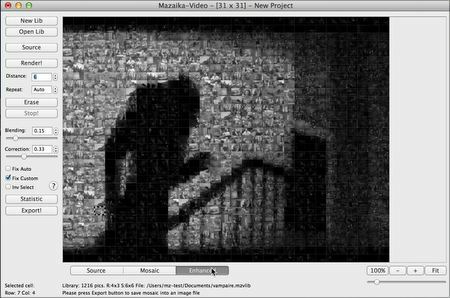 This short video lesson demonstrates how to create a photo mosaic with Mazaika for Mac software. 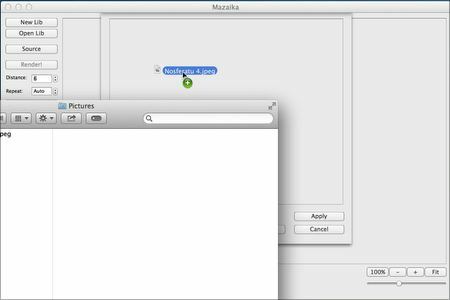 It shows how to make a new mosaic library and a new Mazaika project. 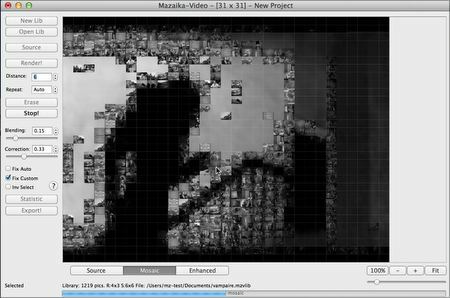 Real-time screencast of mosaic rendering displays how fast Mazaika works. You will see how to correct colors of mosaic for a better visual result and how to save generated photo mosaic montage in an image file format. 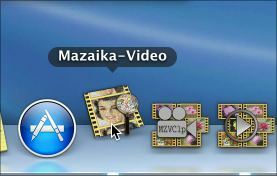 The video above covers the actions that are common for both Mazaika and Mazaika-Video programs. 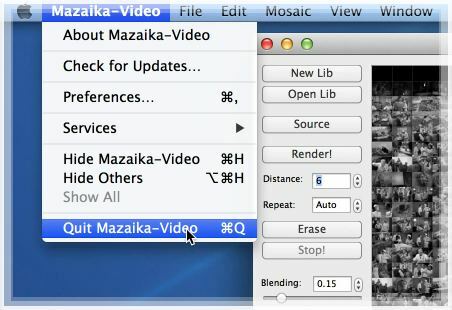 Below is an instruction for Mazaika-Video usage. This is a detailed step by step scenario of making Shadow of Vampire video mosaic with Mazaika-Video software package. 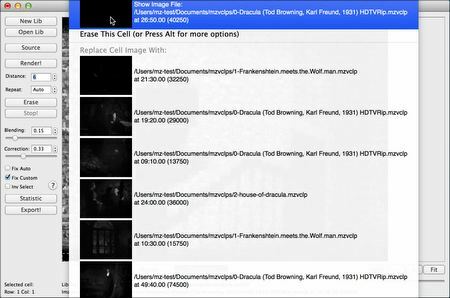 The mosaic starts at enlarged lower left cell filled with Dracula close-up. The mosaic zooms out to reveal the iconic image of Nosferatu shadow and zooms in into top right corner to the cell filled with the same Dracula close-up as was used in the beginning. 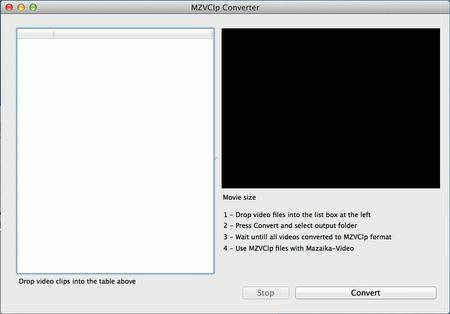 1.1 - Start MZVClp converter application. 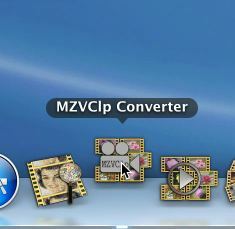 1.2 - This is MZVClp converter window. 1.5 - Select folder to save the result files. 1.6 - Wait until files will be converted. 2.2 - Press the New Library button. 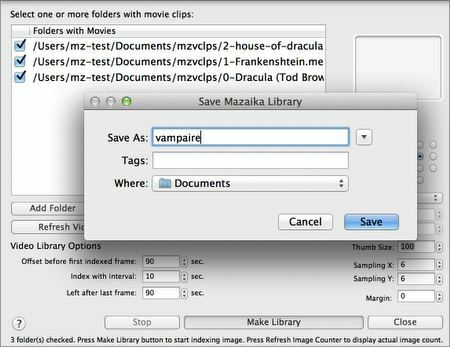 2.3 - Drop MZVClp clips into New Library panel. 2.4 - Set the Offset before value for the new library. 2.5 - Set the Offset after value for the new library. 2.6 - Select Aspect ratio. 2.7 - Press Make library. 2.8 - Enter a name for the new library. 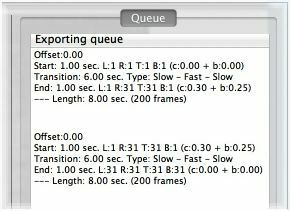 2.9 - Wait while the program indexing your video. 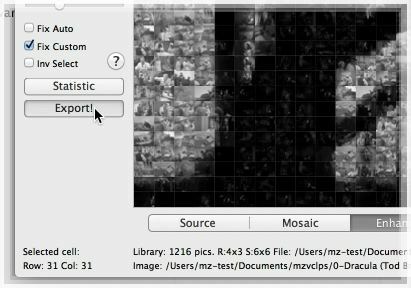 2.10 - Select Open library and make mosaic. 3.1 - Open source image panel. 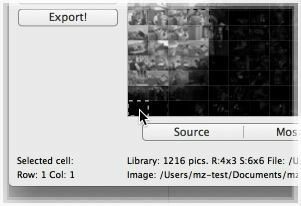 3.2 - Drop source image into source image panel. 3.3 - Adjust the number of Columns. 3.4 - Adjust the number of Rows. 3.5 - Press Apply button. 3.6 - Project is opened and ready for render. Press the Render button. 3.7 - Mosaic rendering in progress. 3.8 - The mosaic is fully assembled. 3.9 - That's how it looks at Enhanced view mode. We should tune the bottom-left and top-right cells. We want to use the same video fragment for both bottom-left and top-right cells. Even more, we need the clip in the top-right cell, to finish at the same time-line position as it is positioned at the beginning of the mosaic at the bottom-left cell. 4.1 - Select the bottom-left cell. 4.2 - Right-click on the bottom-left cell to activate a menu. Select the top menu item to show Preview tile screen. 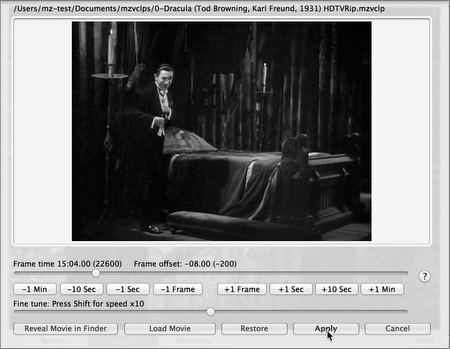 4.3 - Press Load Movie button. 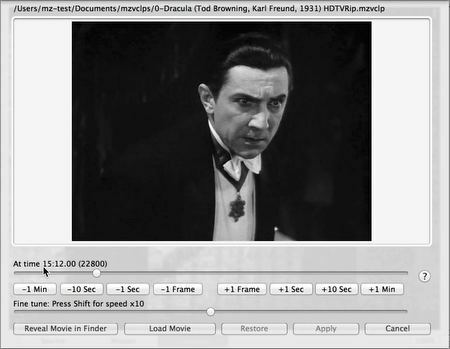 4.4 - Choose a Dracula movie file and open it. We want this nice portrait of Bela Lugosi to be at the end and beginning of our video mosaic. 4.7 - Select the top-right cell. 4.8 - Right-click on the top-right cell to activate a menu. Select the top menu item to show the Preview tile screen. 4.9 - Press Load Movie button. 4.10 - Choose a Dracula movie file and open it. 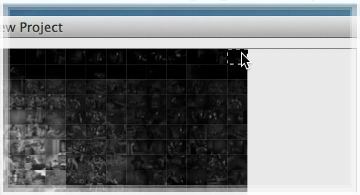 We should tune the bottom-left and top-right cells because we want to use the same video fragment for both bottom-left and top-right cells. Even more, we need the clip in the top-right cell, to finish at the same time-line position as it is positioned at the beginning of the mosaic at the bottom-left cell. 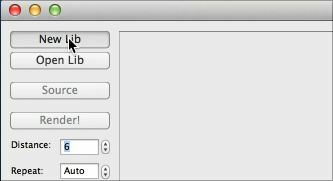 5.1 - Press the Export button to open Export panel. 5.2 - The Export panel is opened. 5.3 - Enter 720 for an output height. It will be Full HD Ready (720 lines tall) mosaic. 5.5 - Select the bottom-left cell with a special button. 5.6 - Press Apply to accept the selection. 5.8 - The enlarged cell doesn't need to be corrected. Enter zeros for both corrections. 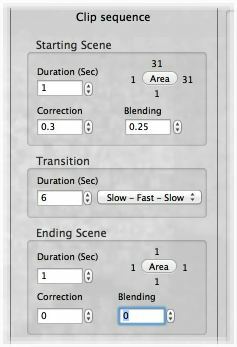 5.10 - Select transition speed: slow-fast-slow. 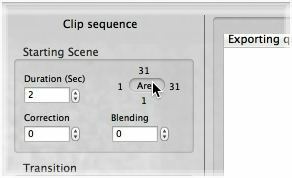 5.11 - Press Area button to bring up a location selector for sequence ending. 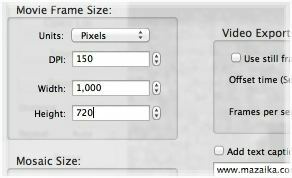 5.12 - Select All mosaic with a special button. (Remember, our first sequence ends with zoom-out to overall mosaic view). 5.13 - Press Apply to accept the selection. 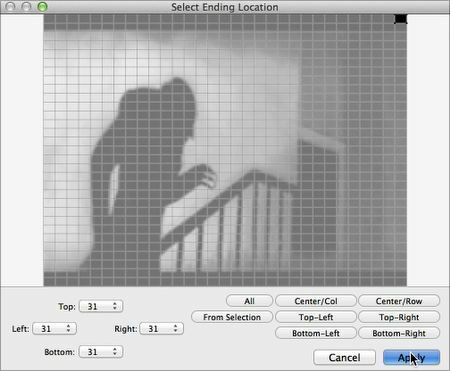 5.14 - Set the ending scene duration for 1 second (To show the whole mosaic for 1-second). 5.15 - The whole mosaic should be corrected. Let's set Correction to 0.3 and Blending to 0.25. 5.16 - The first sequence is assembled. Let's add it to an exporting queue. 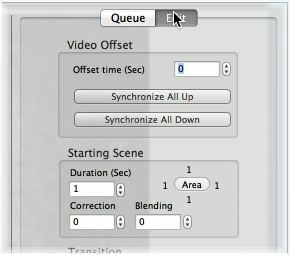 Press Add sequence to queue button. 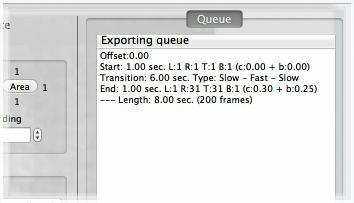 5.17 - Here is it, the first sequence is added to the queue as a line in the table. 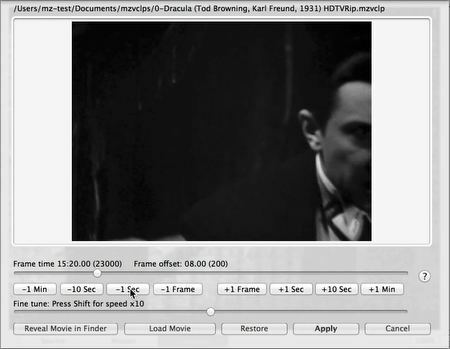 5.18 - The second sequence is similar to the first one, but with zooming-in instead of zooming-out. We will simply swap the start and end of the first sequence and do few corrections. Press Swap start and end button. 5.19 - Sequence is swapped. You see, we have the whole mosaic at the beginning and one cell at the end. 5.20 - But we wanted to finish the mosaic clip in the Top-Right cell. Press Area to correct it. 5.21 - Select the Top-Right cell with a special button. 5.22 - Press Apply to accept the selection. 5.23 - The second sequence is assembled. It starts with color corrected overall mosaic view and zoom-ins into the top-right corner. Let's add it to the exporting queue. Press Add sequence to queue button. 5.24 - Now we have two lines in the table. Two sequences in the queue. 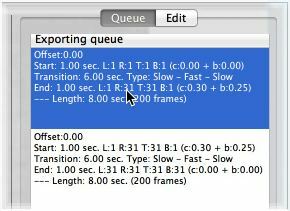 5.25 - We need to synchronize video offsets in these sequences. To enter editing mode select first line in the table. 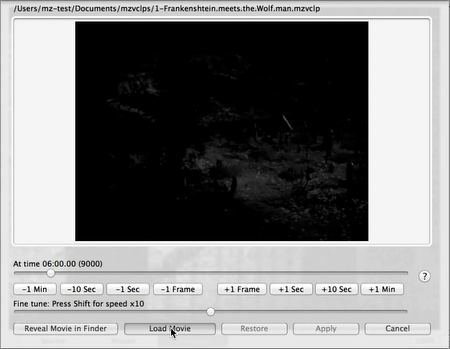 5.26 - Press Edit button at the table caption to enter editing mode. Set Offset to minus 8 for the first sequence. 5.28 - Press Synchronize All Down. 5.29 - Press Update to accept changes. 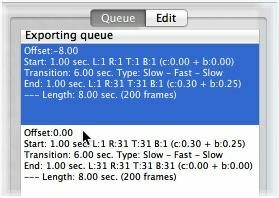 5.30 - Let's verify queue offsets: The first sequence starts at -8, the second sequence starts at 0. That's correct! 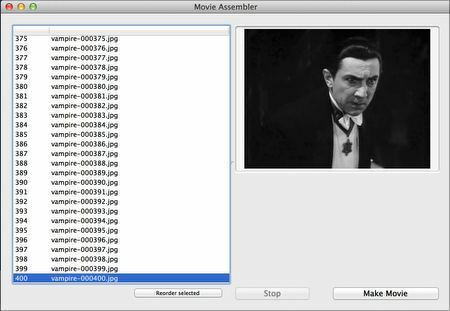 5.31 - We are ready to generate movie frames. Press Process whole queue button. 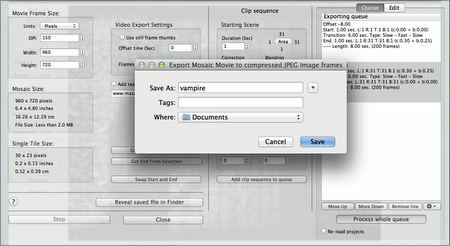 5.32 - Select a folder for output. 5.33 - We need to wait until the procedure will be completed. 5.34 - The procedure is over. We can close the export pane. Press the Close button. 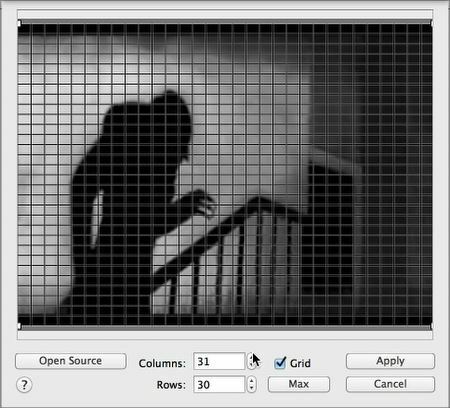 5.35 - We generated all frames for our mosaic video. Now we can quit Mazaika-Video. Now we need to assemble the set of separate frames into one video file. 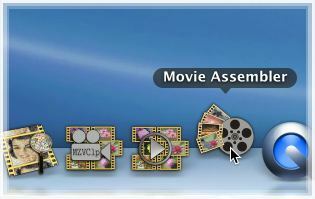 We will do that with Movie assembler application that is included in Mazaika-Video software package. 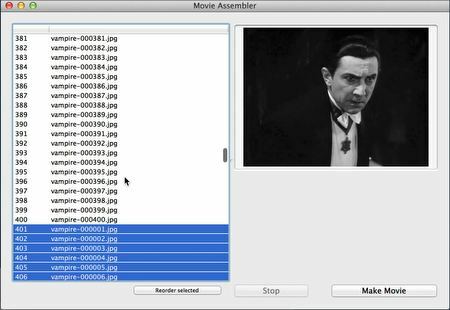 6.1 - Start Movie assembler application. 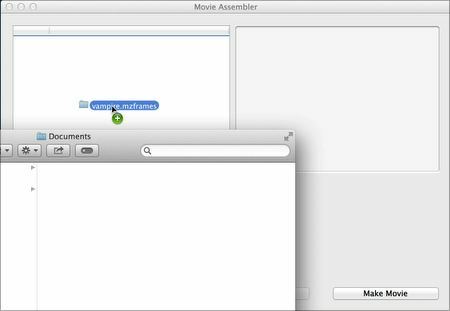 6.2 - Drop the folder with .mzframes extension in its name, that we just have generated, into Movie assembler window. 6.3 - Here we see the first set of frames in the table. 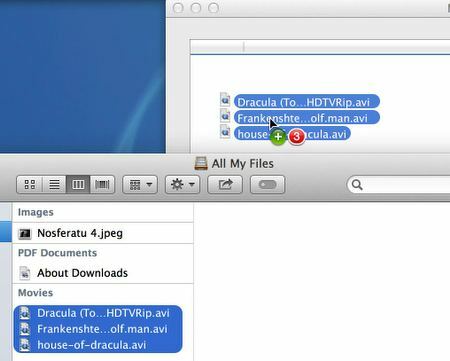 6.4 - To display that the movie is a "loop" let's add the very same folder again. 6.5 - Now we see two sets of frames in the table. 6.6 - We can see a seamless connection between the first and second sets of frames. The last frame at the first set looks the same as the first frame in the second set. 6.7 - Press Make movie button. 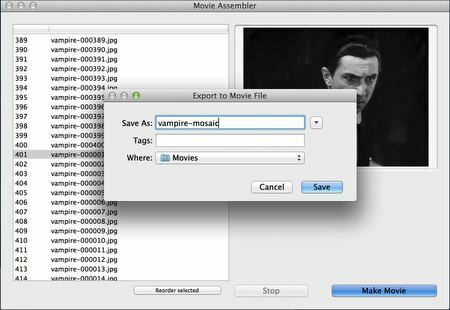 6.8 - Select a file name for our new video file. 6.9 - Please wait until the procedure is over. 6.11 - We can open our new mosaic video with preview! Go to Mazaika for Mac page.